As Vice President, he is responsible for training and managing PCI’s global assessment team, designing and updating the Talent Success Prediction™ process (including the research and selection of the test battery and interview format), and handling custom competency mapping. Hiring the right people isn’t always an exact science, but it never pays to turn it into a game of chance. Using the wrong hiring strategies can be a little like emptying your wallet into a slot machine. You might get lucky and hit the jackpot with a good candidate that falls into your lap. 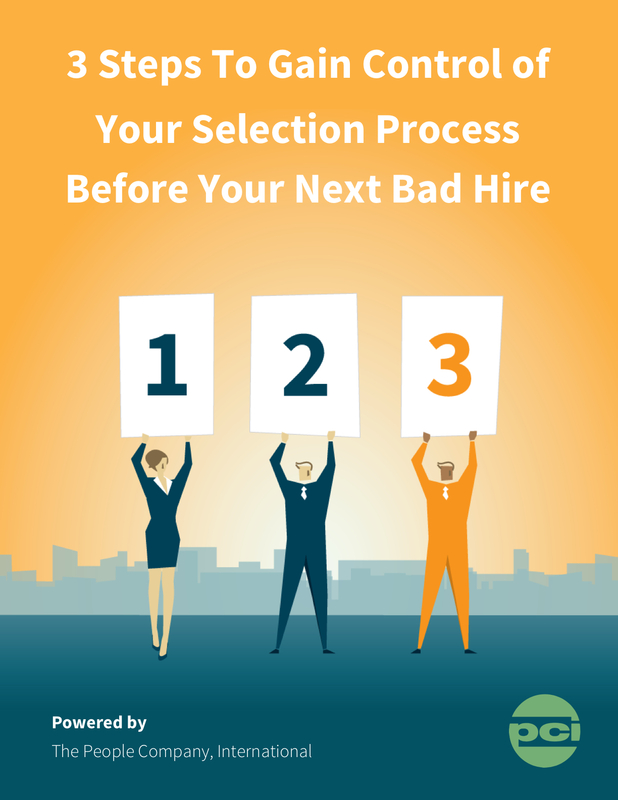 The more likely outcome is that you will waste time, money and valuable resources on a dead-end hire. There is no such thing as a one-size-fits-all hiring process. Without complete data-driven assessments designed to evaluate how well each individual candidate fits in your organization, you are hiring talent blind. When you use assessments and other effective tools, it can help you avoid falling into the trap of modeling hiring practices on bad advice. What are some common hiring misconceptions? Doing a Google search will turn up hundreds of articles and blog posts on what your organization needs to do to find and hire the best available talent. This content often contains generic advice that doesn’t always translate to the real-life situations facing your organization. After all, your selection process is as unique as you are. Some misconceptions get tossed around and passed off as best practices for hiring talent. These ideas can be dangerous because they undermine efforts to do due diligence through assessments. One misguided gem is to trust your instincts, but hiring decisions should never be based primarily on your feelings about a particular candidate. Sure, if you have a strong reaction to a candidate, that’s important to note; however, such decisions should be grounded in tangible data culled from interviews, testing and other assessment tools. There’s probably a reason for your first impression, and gathering data about the relevant causes can help you decide if the candidate is still worth pursuing. Another common piece of bad advice? Move quickly through the process of hiring talent strictly for the sake of speed. Time is your friend when you’re assessing candidates. You want to fill positions within a reasonable amount of time, but you definitely don’t want to take shortcuts to get there. Making an informed decision after a complete assessment—rather than rushing the process of hiring talent—will help you fill positions with the right person at the right time. Do your homework throughout the hiring process. Test each candidate and give them a chance to apply their skills. Interview them in depth, but use a robust assessment process to go beyond the resume to uncover their true skills and attributes. Hiring talent is always most successful when it is grounded in sound practices. Beware of any advice that offers a quick fix or universal solution. Your hiring process should be tailored to meet the specific challenges your organization faces. Above all, remember that following generic advice usually won’t help you solve your problems.